The jinx of Anoeta is now history with Ernesto Valverde in charge as his Barça team came back from behind to win for the second time in two season in San Sebastián. 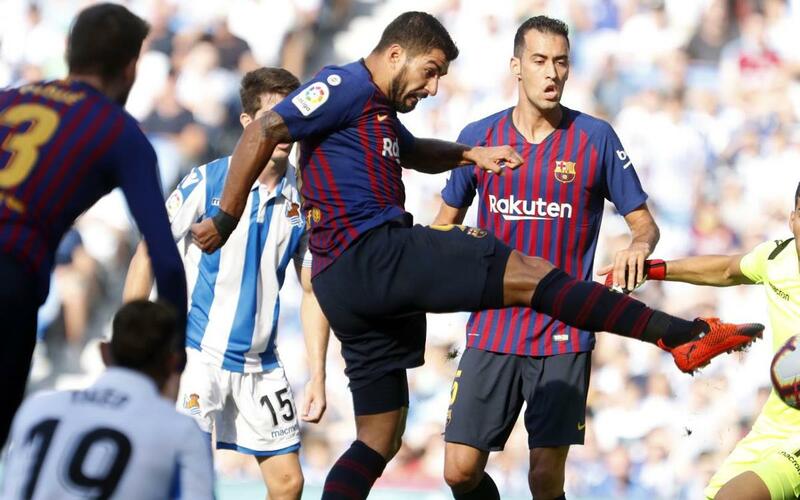 Goals from Luis Suárez and Ousmane Dembélé in the second half handed the blaugranes their fourth win out of four in La Liga this season after Aritz Elustondo had given Real Sociedad the lead in the first half. Check out all the action from Barça's win in the new look Anoeta stadium.